Many people don’t realize the after-death experience is very individual and often conforms to the subjects personal beliefs and ideas. This is important to understand because some people stake their beliefs on the supposed heaven experiences of others who have had a Near-Death Experience (NDE). There is a near infinite variety of possible outcomes, however the life review process appears to be a common trend in most reports. “In the last few years of my non-physical explorations, I’ve come to realize that the more experienced and familiar we are with the non-physical dimensions of the universe, the more expansive are our choices after our physical death. The nonphysical (spiritual) options available to us increase exponentially with our ability to explore the source of all energy and life. This is more important than I can begin to express. The vast majority of humanity dies in complete ignorance of its spiritual existence. Even though many people possess firm religious beliefs, their firsthand knowledge of their spiritual identity and their continuing existence after death is zero. At the moment of death, they transfer their consciousness from their physical body to their higher-frequency non-physical form and are immediately met by their passed-on loved ones and friends. Of course they’re thrilled to discover that they continue to exist, and are overjoyed to be reunited with their loved ones. Over the next few days and weeks they are reintegrated into a new vibrational reality and begin to adapt and conform within their respective social groups. This collective feeling of togetherness brings and holds millions of people together in magnificent non-physical consensus environments. Different groups of people hold different concepts of heaven. For example, the Islamic perspective differs from the Christian viewpoint. Keep in mind that the non-physical environments are thought-responsive; each major religion and social group has created its own concept of heaven according to that group’s beliefs and convictions. Many of these energy environments are extremely old and well established by the collective consciousness of their inhabitants.As a result, the heaven that each of us experiences after death is molded by the group consciousness of its non-physical inhabitants. 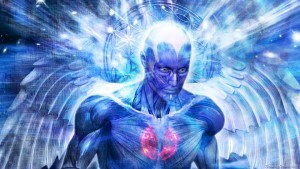 Much as in the physical world, most people are content to adapt to the consensus reality inhabited and created by their friends and loved ones. And why not? It’s incredibly pleasant when compared to matter. There are magnificent landscapes and environments to discover and explore. All the most beautiful and inspiring sights of earth are available, plus much more. Every tree and blade of grass radiate a vibrant spectrum of color that’s beyond our imagination. Everything—plants, animals, the earth itself—is composed of light. A matrix of thought-responsive energy manifests whatever the inhabitants focus upon. It’s only natural that the inhabitants would conclude that this must be the ultimate reality—heaven. “A belief in hell fires can cause you to hallucinate Hades’ conditions. A belief in a stereotyped heaven can result in a hallucination of heavenly conditions. You always form your own reality according to your ideas and expectations. This is the nature of consciousness in whatever reality it finds itself. Such hallucinations, I assure you, are temporary. Consciousness must use its abilities. The boredom and stagnation of a stereotyped heaven will not for long content the striving consciousness. There are teachers to explain the conditions and circumstances. You are not left alone, therefore, lost in mazes of hallucination. You may or may not realize immediately that you are dead in physical terms…..
…..Christianity has believed in a heaven and a hell, a purgatory, and reckoning; and so, at death, to those who so believe in these symbols, another ceremony is enacted, and the guides take on the guises of those beloved figures of Christian saints and heroes. Then with this as framework, and in terms that they can understand, such individuals are told the true situation. Mass religious movements have for centuries fulfilled that purpose, in giving man some plan to be followed. It little mattered that later the plan was seen as a child’s primer, a book of instructions complete with colorful tales, for the main purpose was served and there was little disorientation. In periods where no such mass ideas are held, there is more disorientation, and when life after death is completely denied, the problem is somewhat magnified. Many, of course, are overjoyed to find themselves still conscious. Others have to learn all over again about certain laws of behavior, for they do not realize the creative potency of their thoughts or emotions….. …..I am speaking now of the events immediately following death, for there are other stages. Guides will helpfully become a part of your hallucinations, in order to help you out of them, but they must first of all get your trust. At one time – in your terms – I myself acted as such a guide….. One man’s Moses, as I discovered, may not be another man’s Moses. 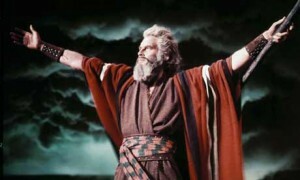 I have served as a rather creditable Moses on several occasions – and once, though this is hard to believe, to an Arab. The Arab was a very interesting character, by the way, and to illustrate some of the difficulties involved, I will tell you about him. He hated the Jews, but somehow he was obsessed with the idea that Moses was more powerful than Allah, and for years this was the secret sin upon his conscience. He spent some time in Constantinople at the time of the Crusades. He was captured, and ended up with a group of Turks, all to be executed by the Christians, in this case very horribly so. They forced his mouth open and stuffed it with burning coals, as a starter. He cried to Allah, and then in greater desperation to Moses, and as his consciousness left his body, Moses was there. He believed in Moses more than he did Allah, and I did not know until the last moment which form I was to assume. A friend and I, with some others, staged the ceremony, and from apposite clouds in the sky Allah and I shouted out our claims upon his soul – while he, poor man, cowered on the ground between us. Now while I tell this story humorously, you must understand that the man’s belief brought it about, and so to set him free, we worked it through.assume. He was a very likable chap, and under the circumstances I did not mind when he seemed to expect a battle for his soul. Moses and Allah were to fight for him. He could not rid himself of the idea of force, though he had died by force, and nothing could persuade him to accept any kind of peace or contentment, or any rest, until some kind of battle was wrought. I called upon Jehovah, but to no avail, because our Arab did not know of Jehovah – only of Moses – and it was in Moses he put his faith. Allah drew a cosmic sword and I set it afire so that he dropped it. It fell o the ground and set the land aflame. Our Arab cried out again. He Saw leagues of followers behind Allah, and so leagues of followers appeared behind me. Our friend was convinced that one of the three of us must be destroyed, and he feared mightily that he would be the victim.